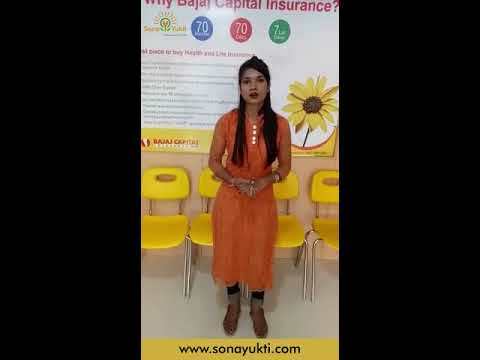 Inspiring Stories of Lives That Changed Through Sona Yukti. Being the eldest son, Gautam wanted to shoulder the responsibility of supporting his family. Financial constraints forced him to discontinue higher education. Still, he completed his graduation and was looking for something that could boost his skills and get a focused career. His father, who shouldered the whole responsibility of the family, was working as a tailor. With three children, he was not able to earn enough to secure their future. Gautam, who was lacking in computer and communication skills, was unable to get a job and was rejected by employers given his lack of skills or experience too. Working at: Eureka Forbes Pvt. Ltd.
"I am really grateful to my trainers who not only trained me in improving my skills but also motivated me and showed me how to achieve my goals by setting priorities. Without their support and motivation it would not be possible for me to walk through the last mile. I thank my parents for their support without which I would not have been able to do this"
"If one does not have challenges in his life, he can't grow in his career"
For Rachna, being independent always meant having a job and being able to earn a decent living. She has five people in her family, parents and two younger brothers, of which one is physically challenged. She completed her BBA from Mahatma Jyotiba Phule Rohilkhand University, Bareilly, U.P, with the hope that it will enable her to get placed and be self sufficient. She went through many interviews, but lack of communication and interpersonal skills came in her way of impressing the employers with her ability. A job was a must for Rachna. Determined to overcome her lack of skill sets despite her financial challenges, she started to look for programmes that would provide her the platform to improve her skills and connect her to the right employers. She trained in a course of Accounts Assistant using Tally from Sona Yukti Pvt Ltd., Bareilly, U.P, which empowered her to take the next step. Her grit and determination motivated the trainers who coached her in work skills and prepared her for interactions with the employers during an interview. Because of some family concern she decided to work in the local area itself, so she got placed in a retail showroom, "Madam", as a Fashion Consultant. Her productivity and daily output has been continuously amazing the management. Professionally she has grown and she is now dreaming of reaching greater heights. "When you are looking for a job you do not always land up getting one where you get to do the kind of work you want to. But my training at Sona Yukti Pvt. Ltd. helped me to achieve exactly what I had always been dreaming of. 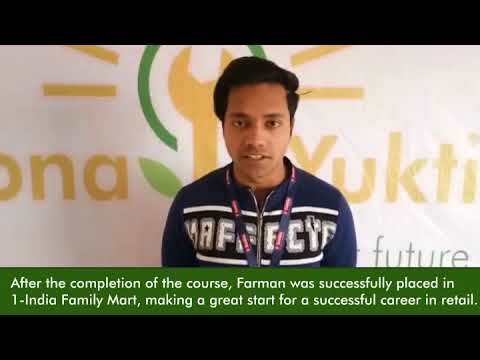 I really would like to thank my trainers and Sona Yukti for providing me with the effective learning platform"
Sona Yukti’s life-changing courses transforms a young job seeker into a well-placed professional.